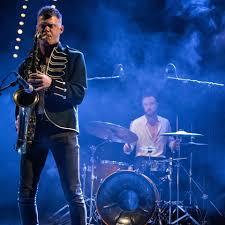 This month, young Leeds saxman, Ben Powling (World Service Project, Wandering Monster, Vipertime, Mansion of Snakes). With the JazzLeeds Trio – Will Powell (Guitar), Steve Crocker (Bass), Dom Moore (Drums). Chill out with a drink or coffee after work for an hour’s jazz in Seven Bar on the third Wednesday of the month.